This phase includes programming and schematic design. During this phase of the design process, the client’s needs will be defined through investigative work, meetings with the client, and a review of existing work spaces, as may be appropriate. Our objective during schematic design is to clearly define the project scope and overall objectives. Schematic design moves the project through a comprehensive design process where conceptual interior design approaches are explored and determined. The main goal is to produce a well defined concept for the entire interiors package and begin the process toward actual construction by making key decisions concerning the final project design. to synchronize the interior design aesthetic with building design. teamwork. A key characteristic of our project approach is our ability to stay connected and communicate in an intuitive and memorable manner throughout the project’s progress. Frequent communication before, during, and after project completion with all disciplines has a direct impact on achieving a successful outcome for our projects." Design is evolutionary in nature. In the Design Development phase we expand, modify and refine the scope of work established in schematic design. In this phase of the project, we develop the fundamental interior design concept into the level of detail necessary to create thorough construction documents. In addition to acquainting ourselves with our Clients needs throughout the design process, we strive to stay abreast of emerging trends and design models within our Client’s industry. Furthermore we continually research new materials, construction techniques, and design styles. Our goal is to develop a unique and current design response for each project; one that improves and enhances our Client’s aesthetic, programming, operational, and budget requirements. At the completion of the design development process, we prepare a finalized graphic design presentation incorporating all necessary components of the interior design. 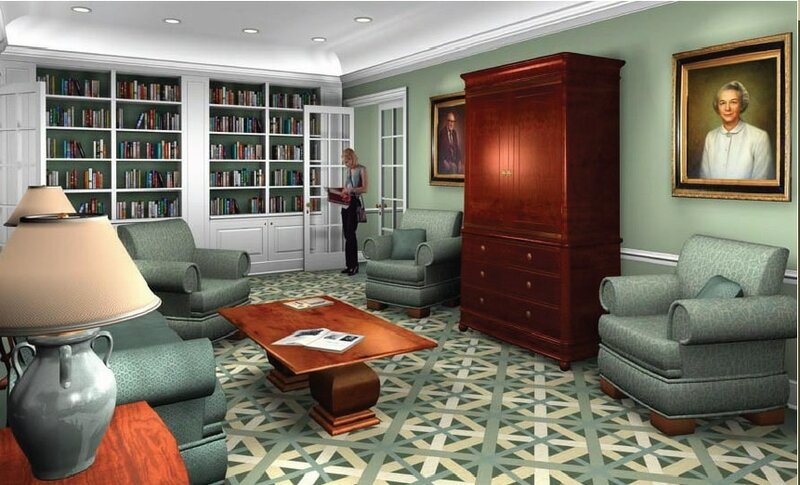 This may include conceptual furniture plans, elevations, 3-D drawings, and multi-media presentations incorporating materials and finish sampling. Furniture specifications are coordinated with vendor preferences, manufacturing lead times and anticipated price increases to assure that both the project budget and schedule will be maintained. 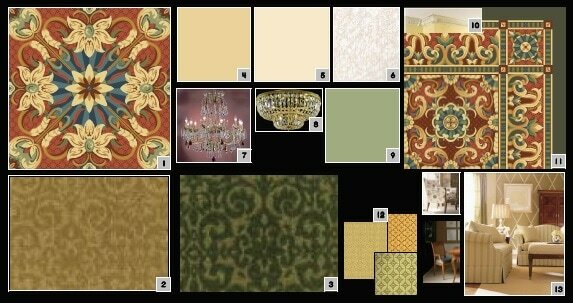 As necessary, furniture sampling is provided to evaluate and finalize selections. This is the point in the design process that we really get to know our Client. Throughout this phase we will liaise closely with our clients and consultants; continuously and deliberately studying the project, its scope, and goals in order to adapt, refine, and tailor the final design solution. The Construction Documents Phase uses the information and client recommendations, gathered from the previous phases, to transform the design concepts into working drawings and specifications for construction. 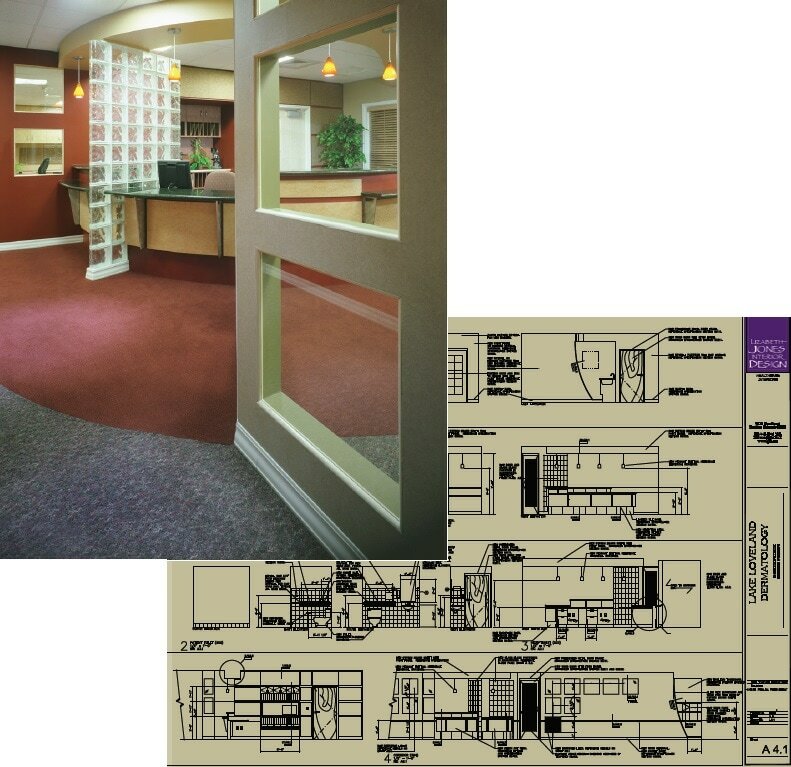 Thorough Construction Documentation is critical to ensuring the accurate execution of the interior design concept. LJID utilizes current CADD (ACAD LT 2006/ACAD 2000) software to support our construction drawings. This technology allows our firm to provide interior documentation in almost any architectural format that the project architect or contractor prefer and affords a smooth and seamless flow of information during the construction process. contract architects, draftspersons, and millwork fabricators for technical support on CD’s as necessary to create appropriately detailed documentation. Finally all our CADD documentation is Project specific and tailored to be consistent with the Project Architectural firm’s standards for layering, title blocks, and display preferences. Furniture plans and specifications addressing furniture, window treatments, decorative accessories, and interior signage are detailed and specific. Furniture specifications are forwarded to manufacturers and vendors for review prior to finalization. This practice allows manufacturers to acquaint themselves (prior to purchasing) with the project requirements, assures specification accuracy, and allows manufacturers to provide valuable input regarding availability, pricing, lead times, shipping/freight requirements, and adherence to Project budget and Project Schedule. Final Interior FF&E specifications are integrated into a customized database that assures the smooth and seamless flow into FF&E procurement. While design is a key element to LJID’s work, strong project management is critical to ensure that our designs are realized. LJID team members have exceptional reputations with clients, engineers, and general contractors. We stress partnering and teamwork throughout the construction process to ensure the successful implementation of the interior design package into the building package and to assist with the smooth progress of construction. As part of the Construction Administration Phase, we review submittals, shop drawings, and specifications to ensure product quality and performance. In order to maintain the project schedule, submittals are reviewed expediently. Revisions due to field conditions or new client requirements are evaluated for impact to other aspects of the interior design and coordinated with FF&E procurement. Regardless of project location, we perform periodic site visits, as necessary, to review project progress. In addition, we emphasize to our contractors that we are always available for clarification and coordination on-site when situations arise which require on-site consultation and review. By staying fully informed and available throughout the progress of the project, we are able to better implement the interior design and guarantee a successful project. As part of our FF&E Purchasing Services we closely coordinate FF&E installation. Our experience prepares us to anticipate project schedule pitfalls, project budget problems, installation difficulties and respond quickly, creatively, and efficiently to project conditions. Prior to FF&E installation, we review site logistics with GC to determine any time or code critical FF&E install items, special delivery requirements, or installation barriers, (floor-wall protection, electricity, lighting, security). In addition we work closely with the general contractor to coordinate the construction completion with FF&E installation. Post-installation wrap-up is viewed as a separate mini-project with its own scope and schedule. Wrap-up phase consists of gathering all loose ends, evaluating all potential changes and determining which ones should be made, implementing all checklist items, and finally back-checking all work until changes and corrections have been done properly. deference to the project schedule and budget. LJID’s Purchasing Services are designed to provide the Owner with a complete and comprehensive system for procuring and installing all furniture, fixtures and equipment. Our project philosophy is to deliver comprehensive and integrated procurement services to our client in a smooth, transparent, and ethical way. We purchases all FF&E, coordinate it’s installation, and provide a total accounting for all funds spent on the FF&E for the project. Providing purchasing services to our Clients via an “Agent Only” model allows for a transparent purchasing project. We apply a flat fee to the Project’s Purchasing Services whereby project FF&E is purchased on behalf of the owner at the manufacturer’s net pricing. Whenever possible, we aggressively pursue additional discounting on our projects. Furthermore, our established credit lines, credit references, and long-term manufacturer relationships often enable us to negotiate deeper trade discounting on our projects. Sensitive our client’s needs and objectives, we are dedicated to providing cost savings through comprehensive preliminary planning, concise cost estimating and budgeting, and experienced FF&E procurement. With concern for both design integrity and budget/schedule control, we maintain a critical eye on every order: verifying, acknowledging, and tracking all aspects of the FF&E. All details of the final FF&E installation are arranged through LJID. We identify the labor force to be used to install all items and troubleshoot to determine any installation barriers (floor-wall protection, electrical requirements, lighting, security) and coordinate site logistics with installers, the Project General Contractor, and Building Management to assure that deliveries comply with Project requirements.